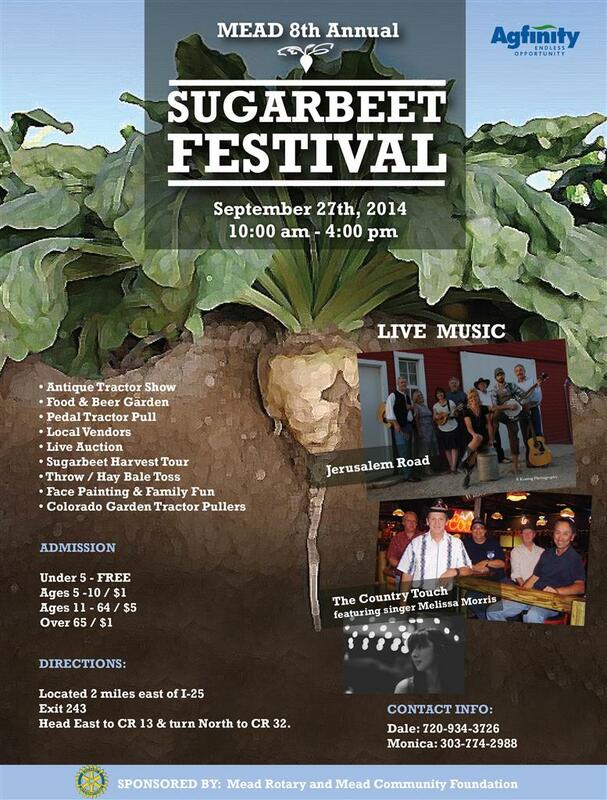 September 2013 was normally when the Rotary Club of Mead had their annual Sugarbeet Festival. 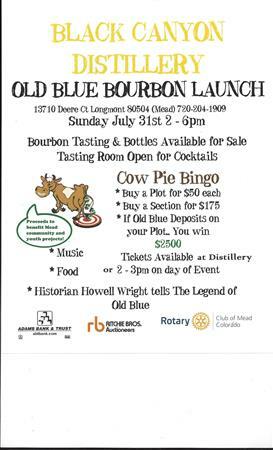 This past year, however, due to the devastating flooding they cancelled the event and turned their attention to helping local communities. 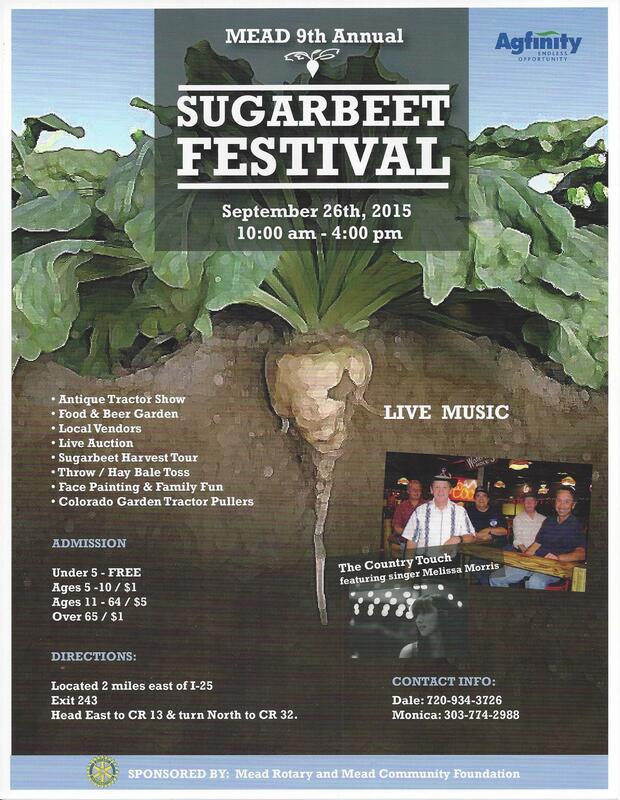 One by one,the Sugarbeet Festival sponsors were contacted and authorized the club to keep the Sugarbeet Festival sponsorship money and use it to help local victims. Please download the Mead Rotary Foundation Scholarship Application (link on the left). Donors of $1000 or more to the Annual Programs Fund, PolioPlus, or the Humanitarian Grants Program, or people who have that amount contributed in their name, can be recognized as Paul Harris Fellows. Each new Paul Harris Fellow receives a commemorative certificate and a pin to wear proudly. 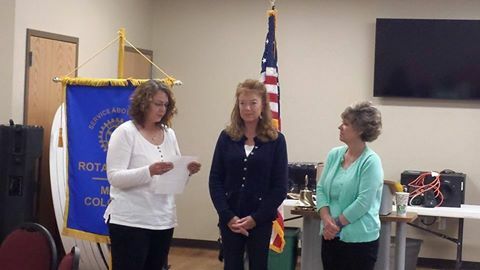 Colleen Whitlow was inducted June 12th she is a very active member of the Mead Community. 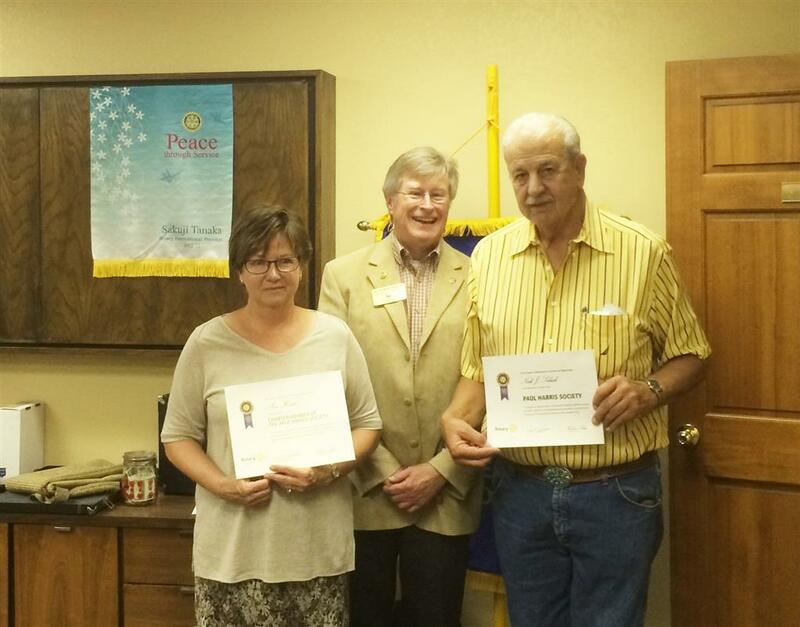 She is a Trustee servicing on the Town Board, the current President of the Mead Area Chamber of Commerce and a Member of the Downtown Revitalization Committee..
Congrats to Terri Hatch (right) and Butch Sekich (left) on becooming charter members of the Paul Harris Society. 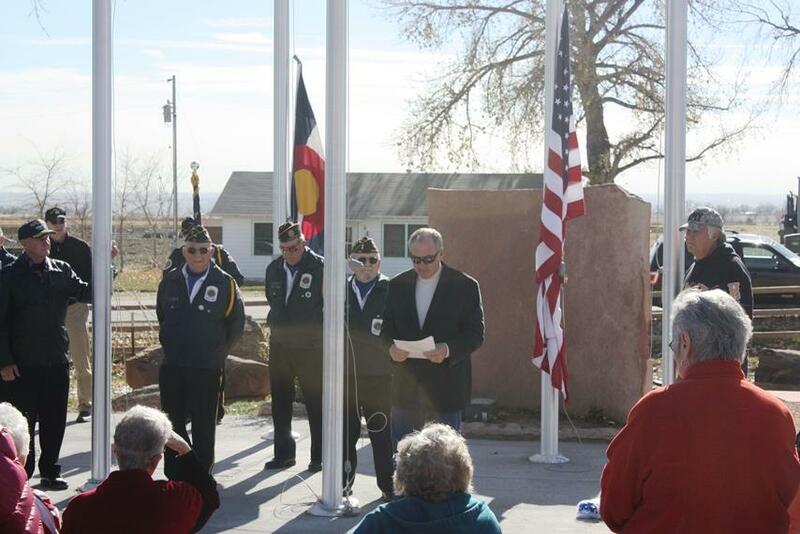 Jo Kirkenaer, Assistant District Governor (center), made the presentation at the Mead Rotary Club meeting, Friday, May 29, 2014.